Nokia has not been lagging behind in the smartphone market and has continuously looked at increasing its brand name. Though Nokia doesn’t require much introduction however the smartphone market cannot be called its forte. It has heavily banked on its Lumia series to get it through in this market and the series has performed exceptionally well. Being the most popular Windows based phone has made Nokia very happy about the Lumia series. A new phone has been launched in the Lumia series which is the Lumia 925. This phone is released at a price of Rs. 34,169 and is available on snapdeal at Rs. 33,999. 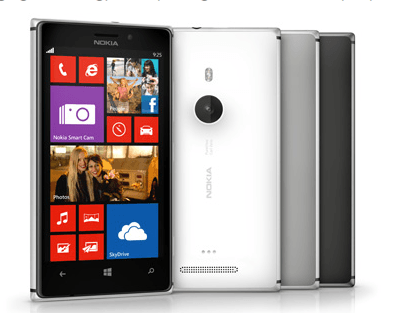 Screen: The Lumia 925 has a 4.5 inch Super AMOLED capacitive touchscreen with a pixel ratio of 768 x 1280. The Display is also backed by the Pure Motion HD+ Clear Black display. All in all, the screen is one of the best units to look at and it is pretty hard to not like a Windows Phone home screen. The display resolution complements it pretty well. There is also the Corning Gorilla Glass to protect the screen. Processor: The phone has a 1.5 GHz dual core processor which makes the phone a very fast device. Windows Phone devices perform like a breeze on these dual core Qualcomm processors and the smartphone works without a hiccup. Memory: There is a RAM of 1 GB and internal storage of 16 GB. There however is no room for external storage. With the great camera available on board, you might just run out of storage before you’d even realise. 7GB of Skydrive storage is being made available as well to help you store your data but it might seem less to a few of the users. Network Connectivity: The phone can connect to 2G, 3G as well as 4G networks. 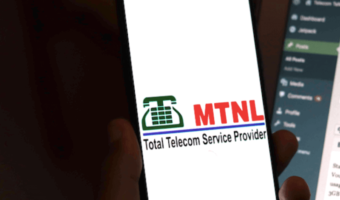 This offers users access to high speed data networks also. Other Connectivity: The phone will also be able to Wi-Fi, USB and Bluetooth networks. In addition the phone will also be able to utilize NFC feature. Camera: The phone carries a stunning 8 MP camera with Carl Zeiss optics, image stabilization, Pure View technology and a number of other outstanding features. The 1/3” sensor size ensures that you get the best in class low light imaging. In addition to this the phone also has a 1.3 MP secondary camera for video calling and those last minute vanity checks. Our Take: The phone has a number of great features but might end up being costly as there are much better phones in the market at the same range. It costs Rs 33,999 and brings along a bluetooth headset as well if purchased from online retailers. The smartphone looks premium, is premium and performs like one as well. Had Nokia priced it Rs 4,000-5,000 less, it would have been a killer smartphone. Nokia Lumia is a good smartphone but it is overpriced. I’ll advise you to wait for the first price cut and then consider this one but by then, the Nokia Lumia 1020 which is father of smartphone imaging would already be here. Yes, the 925 at 27-28k would’ve been a much stronger offering. It’s doesn’t make much sense at that price right now with the 1020 coming soon and quad-core 1080p WP’s coming in Q4. It’s a wonderful device though.